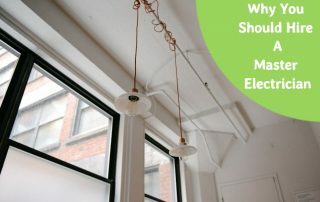 Why Should You Hire A Master Electrician? When it comes to home electrics, the safety of you and your family is most important. A licensed electrician is the first person you should call if you encounter an electrical hazard in your home. Do you have smoke alarms fitted to your home and workplace? What is a power surge and what damage can surges cause? A safety switch is designed to save the lives of yourself and your family. Every home in Queensland should have this equipment functioning perfectly. You as the house owner need to test this as well. Does Your Electrical System Need Checking? Flickering Lights – Power Issues? The flickering of lights when light is on indicates that there is an underlying issue that you’ll need to investigate. There are three main causes for flickering bulbs some of which may be fixed yourself. Scholz Electrical are Master Electricians. We have been operating in Brisbane since 1970 and are experienced in all domestic, commercial and industrial work. We also specialise in air-conditioning and solar. So whether you’re looking to renovate your home, fit-out your offices or eliminate your electricity bill with solar. We’ll look after you.